Kennel Zeigler LLC is a Dayton law firm dedicated to guiding individuals, families, military service members and small businesses through the bankruptcy process. We know how stressful it is to be overwhelmed with debt, and we are here to take the burden off your shoulders. You do have debt relief options, and our skilled lawyers will help you thoroughly explore those options. We can advise you about Chapter 7, Chapter 13, protecting your home from foreclosure, avoiding car repossession, stopping creditor harassment, discharging medical debts and much more. In addition to our bankruptcy practice, we are also available to assist you with estate planning and probate concerns. Our attorneys, John F. Kennel and Andrew Zeigler, are proud to provide personal, responsive representation. Mr. Zeigler is certified by the American Board of Certification as a specialist in consumer bankruptcy law, making him one of the only 11 attorneys in the state to hold this designation. Mr. Kennel scored among the top 3 percent of all candidates when he took the Ohio bar examination. Together, our lawyers are well-equipped to offer the premier legal counsel you require to find a fresh start. 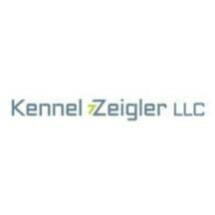 Call Kennel Zeigler LLC in Dayton to schedule a free initial consultation about your situation today. We are here to help.